Michael F. Roizen, MD, is a Phi Beta Kappa graduate of Williams College and Alpha Omega Alpha graduate of the University of California, San Francisco, School of Medicine. He performed his residency in internal medicine at Harvard's Beth Israel Hospital and completed Public Health Service at the National Institutes of Health in the laboratory of Irv Kopin and Nobel Prize winner Julius Axelrod. He is certified by both the American Boards of Internal Medicine and of Anesthesiology. Dr. Roizen is the Cofounder and Chair of the RealAge, Inc., Scientific Advisory Board. He is 62 calendar years of age, but his RealAge is 42.8. Dr. Roizen is a Past Chair of a Food and Drug Administration advisory committee and a former editor for six medical journals. He has published more than 165 peer-reviewed scientific papers, 100 textbook chapters, 30 editorials, and four medical books (one, a medical best-seller), and received 13 U.S. and many foreign patents. He is one of the cofounders of the website RealAge.com, recently sold to the Hearst Corp., and still chairs its Scientific Advisory Board. One of the drugs he co-invented and developed (licensed to Progenics and Wyeth Corp.) for hospice patients will have its NDA day in 2008. Dr. Roizen still practices anesthesiology and internal medicine, using the RealAge metric to motivate his patients. He routinely takes patients at the Cleveland Clinic Wellness Institute who are in the midst of struggling with tobacco, heart, diabetic or arthritic problems and coaches them with simple (but persistent) lifestyle changes to be able to live, feel, look and be years younger. He really enjoys getting them to throw away their medications when they no longer need them, but teaches the role of food and other simple steps in reversing disease processes. 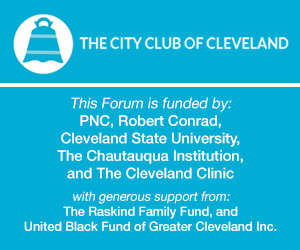 The Wellness Institute that he chairs includes Employee Health and Wellness, the Department of Preventive Medicine, Premium Access Programs, Disease Reversal and Integrative Medicine Programs, and the Wellness Public Policy and Community Support Programs of Cleveland Clinic. Cleveland Clinic Wellness institute aims to elevate preventive care and wellness as a core brand of Cleveland Clinic and a core value we teach our patients and employees.